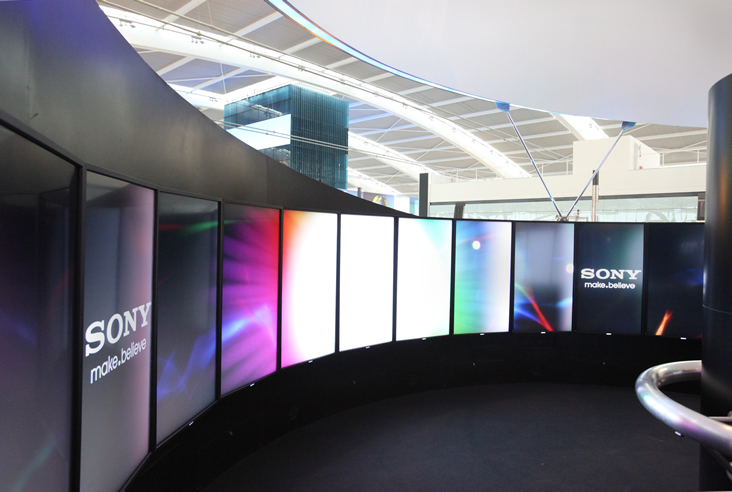 We were approached in 2010 by PD3 to take a project for Sony from its preliminary stages to completion. There was already an agreed structural design that had been submitted to the airport operator, in this case BAA. 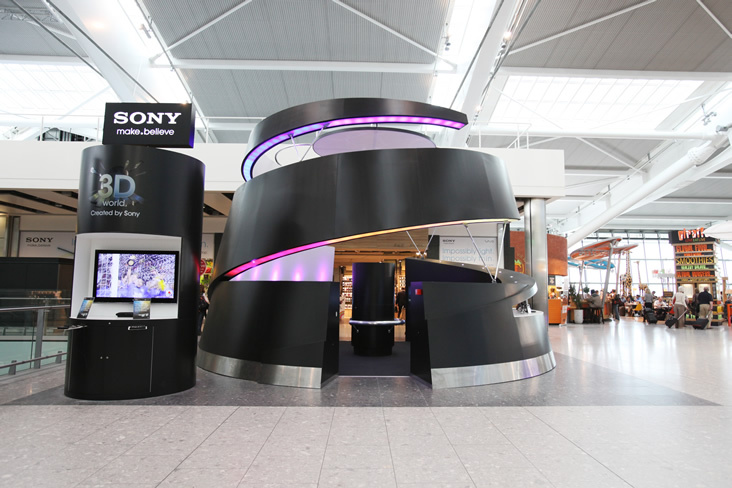 Our role was to deliver the project as per the visual plan, and fulfil all of BAA’s stringent technical demands, and fit the whole object through a security scanner! We rationalised the existing project plans, and produced our own construction plans which were submitted and agreed to by BAA. 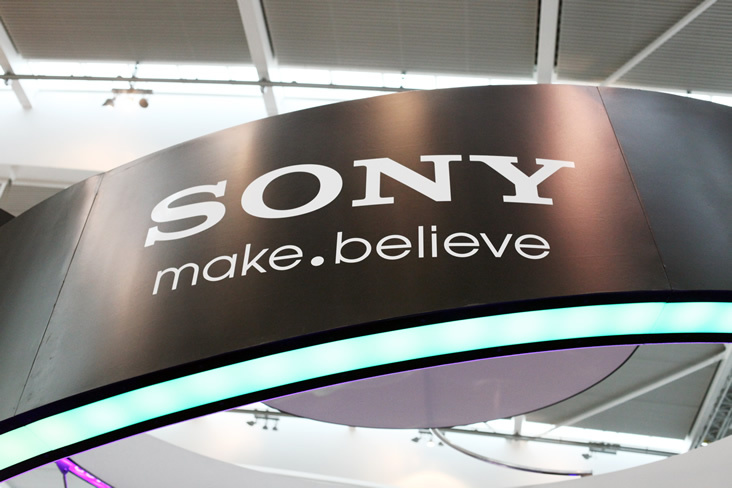 At all points we also needed to consider the requirements of Sony, and deliver a high quality object in a very short lead time. Despite some teething problems with the incumbent logistical company at the airport, we worked through the night over a period of two weeks to complete the installation. 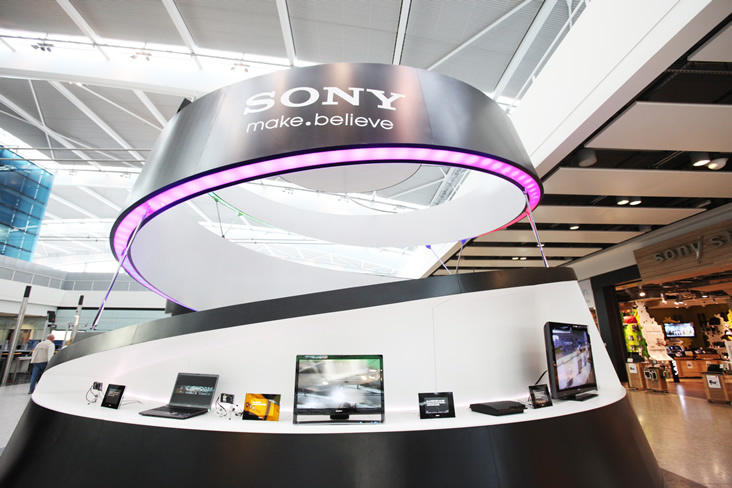 PD3 had produced an innovative 360 degree immersive film that we showed on Sony hardware in the centre of the stand. 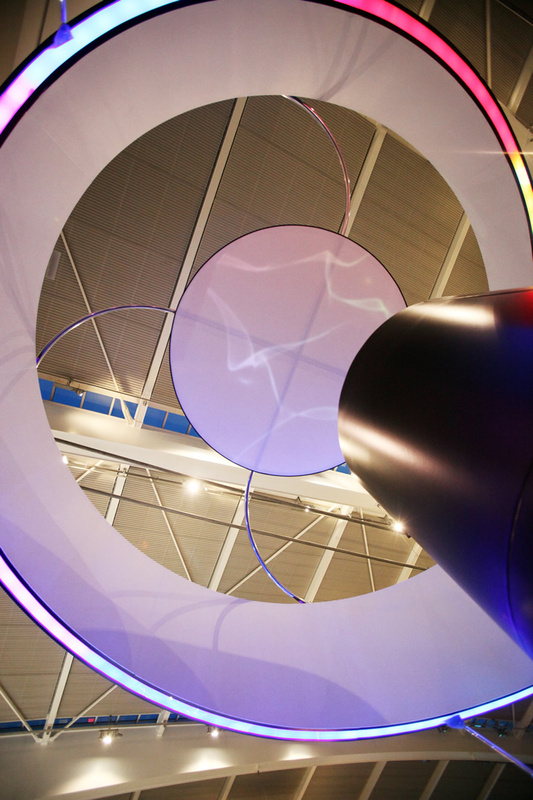 We also included space for product display, a projection onto the ceiling, and a constantly moving spiral of coloured light. 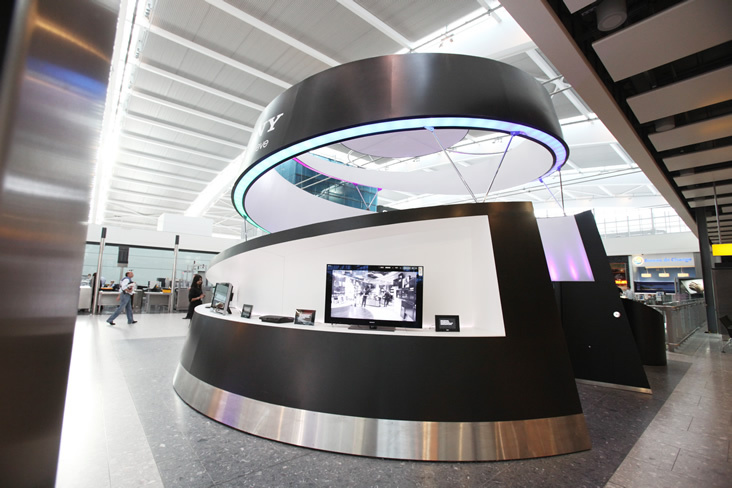 This was a project that required extremely close collaboration on all elements, and throughout the process we pushed the boundaries of material supply chains, on-site installation processes, and put a large and structurally difficult object in one of the most controlled environments in the country – Heathrow’s terminal 5.